[T]he North Pole is … located more than 700 kilometres from land, in 4,000 metres of water covered with drifting sea ice. Powerful winds, frigid temperatures and seasonal darkness add to the misery. Like all waters more than 200 nautical miles (370 kilometres) from shore, the ocean at the North Pole is international. The only sovereign rights that could possible exist concern seabed resources. Like it or not, the North Pole falls on the Danish side of the equidistance line – it will never be Canadian. [The] Prime Minister knows that Canada’s claim will fail. But he also knows that the failure will emerge only after he leaves office. In the meantime, the North Pole presents him with an opportunity to rehabilitate his image as a champion of Canada’s Arctic sovereignty. After eight years of inaction, promises of new ice-strengthened patrol ships, a powerful icebreaker and an Arctic naval port have worn thin. But is there any need to dwell on this now? 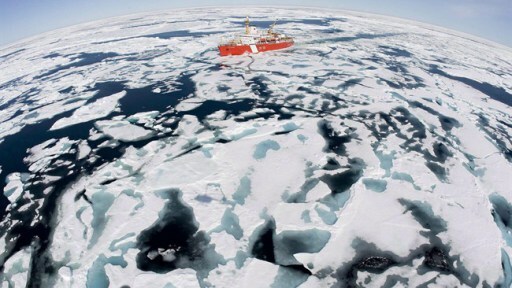 Look, Canadian icebreakers are headed to the North Pole! Michael Byers, author of International Law and the Arctic, and winner of the 2013 Donner Prize, is a member of the Rideau Institute Board of Directors.